IS A CIRCLE ALSO A LINE? CAN A LINE ALSO BE(COME) A CIRCLE? 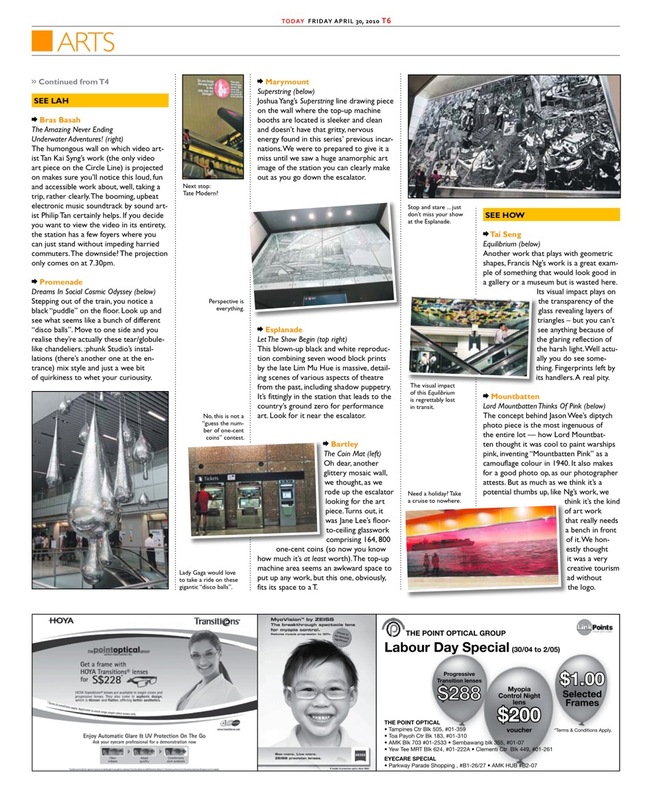 The Bras Basah Station permanent public art work post #5. 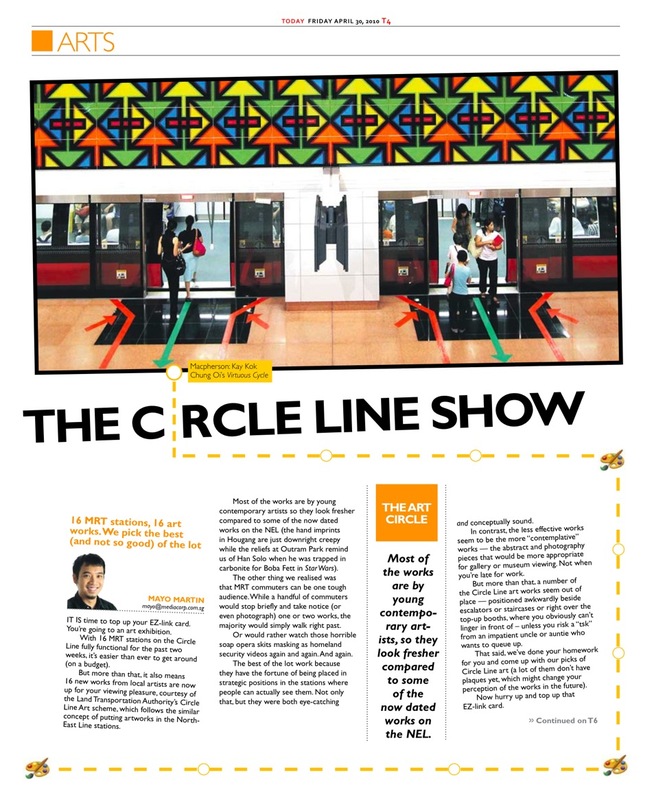 In our final post about our permanent public video installation at the award-winning Bras Basah Mass Rapid Transit station in Singapore, we share an external coverage of the work at Today newspaper by Mayo Martin, who has told us that this is his favourite of the art works commissioned by the Land Transport Authority of the Circle Line. Do let us take us for a ride on The Amazing Never-ending Underwater Adventures! 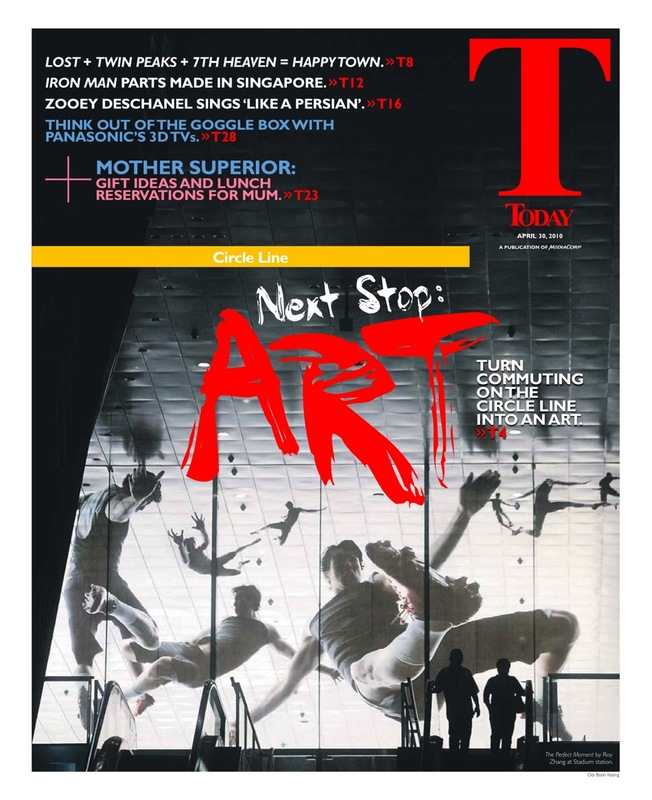 This entry was posted on Wednesday, September 15th, 2010 at 13:00	and is filed under GIGS & EVENTS, PRESS COVERAGE and tagged with between life & death, existence, layers of lives. You can follow any responses to this entry through the RSS 2.0 feed. You can leave a response, or trackback from your own site.